Boeing executives said today that they would take all necessary steps to ensure the safety of the company’s 737 MAX airplanes, after Ethiopia’s Civil Aviation Authority issued a preliminary report saying that an Ethiopian Airlines jet was felled last month due to the same sensor problem that caused a fatal crash in Indonesia less than five months earlier. The Ethiopian crash and last October’s Lion Air crash in Indonesia killed a total of 346 people and led to the worldwide grounding of Boeing’s 737 MAX airplanes. Like investigators in Indonesia, the Ethiopian investigators said an automated flight control system known as the Maneuvering Characteristics Augmentation System, or MCAS, forced the plane into a catastrophic dive. 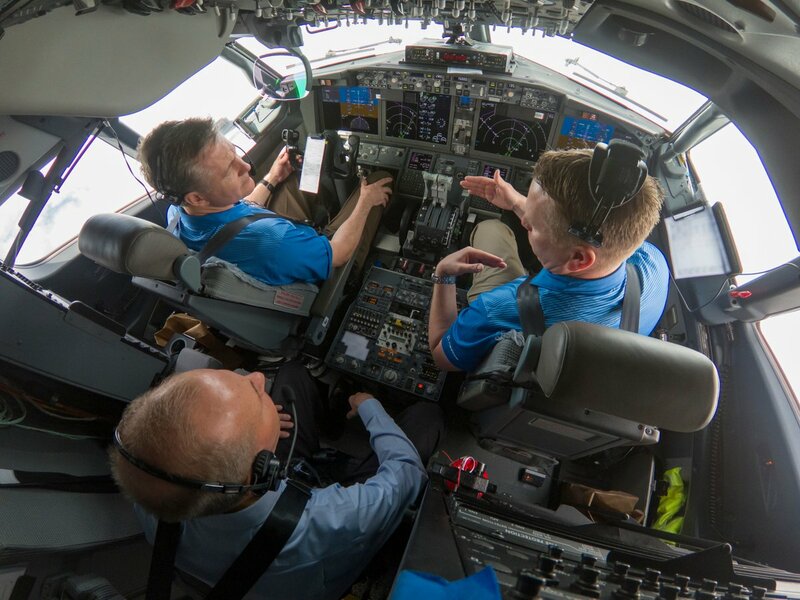 Boeing’s software-based MCAS system was added to the 737 MAX as a safeguard against stalling, but in both cases, investigators said a faulty sensor fed bad data into the system. The preliminary report on the Ethiopian crash, issued today, said the pilots tried Boeing’s recommended procedure for overriding the MCAS system but still failed to regain control of the plane. This entry was posted in GeekWire and tagged 737 MAX, Aviation, Boeing, Ethiopia, Technology. Bookmark the permalink.